The ISRRT Code of Ethics has been developed by members and endorsed by the Board of Management to articulate the ethical behaviour and responsible conduct expected of ISRRT members. Each member has a personal responsibility to understand, adopt, and promote the values and behaviours articulated in this code. Each member has the responsibility to always be aware of and comply with the laws, regulations, standards, and codes that govern radiographic practice in his/her particular jurisdiction. 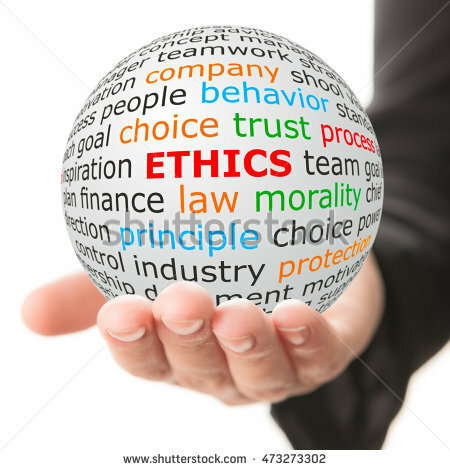 Ethics may be defined as a process, rules or principles governing conduct. Ethics once learned, may be applied to whatever ethical questions may arise. Ethics creates a culture of integrity; a supportive, positive atmosphere that builds morale, fosters internal and external loyalty and improves reputation. The Code of Ethics is a guide by which radiographers/radiological technologists should evaluate their professional conduct as it relates to patients, healthcare consumers, employers, and health professionals. The Code of Ethics is intended to assist in maintaining a high level of ethical conduct and in providing for the protection, safety, and comfort of patients. Ethics and professionalism are fundamental in providing good radiographic practice. Radiographers/radiological technologists must develop and maintain an adequate knowledge of key components of the laws and regulations that affect their patients and practices. The law does not always establish positive duties, that is, what one should do, to the extent that professional ethics does. The current understanding of professional ethics is based on the principles from which positive duties emerge. Corresponding to the rights and privileges conferred on radiographers/radiological technologists are also certain ethical obligations. These ethical duties toward patients and society demand that ethical guidelines be formulated. Ethical guidelines in essence, express duties. A duty refers to an obligation to perform or not to perform certain things. Duties may be legal and/or ethical. A radiographer/ radiological technologist has duties to patients, colleagues, other health professionals, society, the environment and to oneself. The patients’ best interest should be of primary importance. Perform only the procedures for which the radiographer/radiological technologist has acquired competence. Advocate the most appropriate care for patients. The power entrusted to the radiographer/radiological technologist must not be abused. Personal prejudices must not affect the professional relationship. Practice the principles of justification, optimisation and ALARA. Respect and maintain patient privacy and confidentiality at all times. Facilitate and support the free and informed choices of patients, families, or caregivers, including decisions to refuse or withdraw from imaging and/or treatment. Ensure the principle of informed consent is upheld throughout the patient’s experience. Treat all individuals with respect and dignity, providing care regardless of race, national or ethnic origin, colour, gender, sexual orientation, religious or political affiliation, age, type of illness, mental or physical ability. Educate patients, families, and caregivers by providing information that can be understood and used to make informed decisions about their care. Answer patient and family questions fully and honestly within the limits of the radiographer’s/radiological technologist’s knowledge, authority, and responsibility. The radiographer/radiological technologist may be required to seek additional information or refer the patient to the most appropriate healthcare provider. Collaborate and consult with patients, appropriate decision-makers, and healthcare providers to facilitate optimal patient care. Maintain current knowledge of safety standards pertaining to the radiographer’s/radiological technologist’s practice and conduct all procedures and examinations in keeping with these standards. Intervene in circumstances of abuse or unsafe, incompetent, or unethical practice. Deal responsibly with radiation; be guided by the ALARA principle. Treat all individuals with respect, dignity, and without discrimination, providing care regardless of race, culture, national, social or ethnic origin, colour, gender, martial and family status, sexual orientation, religious or political affiliation, language, age, type of illness, mental or physical ability. Protect the environment by assuring the correct disposal of medical waste. Ensure a safe environment and take steps to minimize the exposure to potential risks (for example, radiation exposure, strong magnetic fields, risk of infection). Practice professionally. Uphold the professional standing of the profession. Improve professional standards with evidence-based documentation linked to continuous professional development (CPD). Develop professional role with appropriate education and training. Engage in lifelong learning to maintain a consistent level of competence in the disciplines of practice. Remain current on radiographer/radiological technologist trends, basing practice choices on evidence, and applying this knowledge to the clinical and research environments as deemed appropriate. Aspire to a high level of professional efficacy at all times. Maintain and enhance personal well-being and never perform responsibilities when under the influence of substances or affected by any condition that could impede the quality or safety of care. Be accountable for professional actions and decisions, including errors. Ensure all oral and written statements are truthful, clear, and concise. Ensure all professional activities are appropriate and are not a conflict of interest. Uphold the profession by conducting all professional activities in a manner which will maintain public trust and confidence. Make use of appropriate professional, institutional, or regulatory mechanisms to intervene when witness to abuse or unsafe, incompetent, or unethical practice while supporting colleagues who appropriately notify relevant authorities. Promote a culture of research in the radiographic field that will improve the quality of evidence-based recommendations in the future. Confidentiality and informed consent must be evident in research that includes patients and or their records. Act under the law with regard to maintenance of registration or licence to practice. It would be impossible to create guidelines that would cover every possible real-life situation. The radiographer/radiological technologist needs ethical reasoning to navigate the day-to-day actions based on professional ethical guidelines.